The new students will add tremendous value to Mason and to the Commonwealth of Virginia. Perhaps the most important value international students bring is a wealth of cultural perspectives that enriches our academic environment. A multicultural environment creates opportunities for learning beyond the classroom. You hear more languages spoken in our dining halls. Foreign affairs becomes the topic of late-night conversations. We gain more perspective and see issues from various points of view. Our students leave the university better prepared for a world that is increasingly interconnected. And they are ready to lead a workforce that is increasingly global. Also, as I have discussed before, by bringing new talent from around the world, Mason will contribute to making our community more competitive. Data show that immigrants are more inclined than native-born Americans to start new businesses. Significant shares of all high-tech start-ups have at least a founder born outside of the United States. And universities continue to be the most effective institutions we have to attract the best human talent from around the world. In a world economy where we compete through innovation and human ingenuity, attracting talent becomes a central element of any successful agenda. Finally, attracting international students to Mason is good business for the university and for Virginia. International students pay out-of-state tuition that contributes to the financial health of the university. And they help boost the local economy. These benefits pale in comparison with the prior two, but are important in their own way. Our efforts to internationalize our campus don’t end here. Just as we are trying to bring the world to Mason, we are also working in ways to bring Mason students to the world. Next week, Provost Peter Stearns and I will be heading to Incheon to welcome the first class to our Mason Korea campus. Our plan is that Mason Korea will be not only a source of additional Korean students, but a platform that will allow many American Mason students to have a meaningful, global learning experience. In addition to being important initiatives within the context of our strategic plan, these efforts signal a dynamic which is likely to be a norm going forward: they are made possible by innovative partnerships. The effort to internationalize our campus will be driven by a joint venture between the university and the industry leader in international student recruitment and pathway programs, INTO. Mason Korea is a partnership with government and private foundations in Korea. Partnerships are powerful vehicles for innovation but also complex to establish and manage. The partnership with INTO would not have been possible without the creative and hard work of many colleagues at Mason who have worked long hours developing, refining and implementing the various aspects of this relationship. There is still work ahead to ensure a smooth transition. But based on our experiences to date, I am confident that this initiative will be a success. Thank you for your work in making Mason a university for the world. The above article has been re-published with the kind permission of the author. It was originally published on the George Mason University website on February 27, 2014. 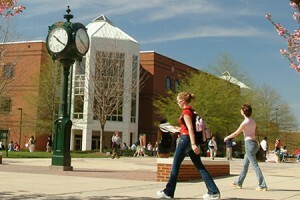 Dr. Ángel Cabrera was named the sixth president of George Mason University effective July 2012. Prior to joining George Mason University, Cabrera served as the 11th president of Thunderbird School of Global Management in Arizona from 2004 to 2012, being designated President Emeritus in April 2012. He was professor and dean of IE Business School in Madrid, Spain, between 1998 to 2004. Thunderbird is regarded as the world’s leading graduate school of international management, and IE Business School has been ranked by the Financial Times among the top 10 business schools in the world. In 2011 the Financial Times recognized him as one of the top 20 business school leaders in the world.